Photo: AP, Illustration by Gabrielle Bluestone. Legendary jewel thief Doris Payne was arrested Wednesday in what I can only assume is a fake out in furtherance of one last heist—you know, the big one, before she retires. 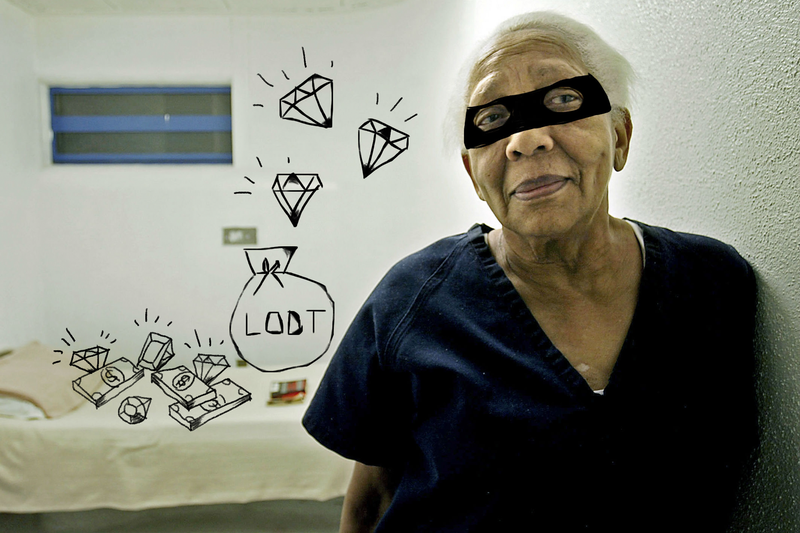 Payne is a famous and charismatic jewel thief and the subject of a 2013 documentary, The Life and Crimes of Doris Payne. She’s so good, she didn’t even care that people knew her face. But Payne was arrested in Atlanta on Wednesday after she allegedly stuck a $2,000 diamond necklace in her back pocket and tried to walk out of the store with it. It’s well within her M.O., which typically involves her asking to try on a bunch of jewelry before pocketing one on her way out of the store. Still Payne, who is 86, has been doing this for decades. In her lifetime, she claims, she’s stolen more than $2 million in jewels, motivated solely, it seems, by the love of the game. When she was arrested in 2008, she listed her occupation as “jewel thief.” Frankly, I’m rooting for her. Which is why I don’t buy for a second she was busted over a lousy $2,000 necklace that Kay Jewelers probably rejected from the wholesaler. This is a ploy—to what end I know not. As long as it’s not viral marketing for Ocean’s Eight, I love it.